Welcome to Wee Bee World.com. We are dedicated to creating educational content for children which is fun and inspiring. We are pleased to share with you three of our most popular videos (below). You will also find direct links to our recent movie releases. 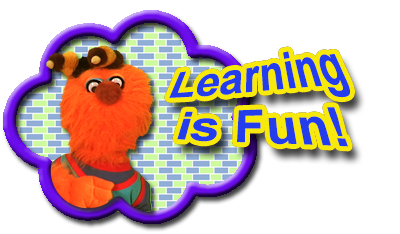 Currently we have two films available --- "Learning is Fun!" (60+ minutes) and "Learning Together" (30+ minutes). We also have an easy to use App available for your smart phone or tablet ... available and ready to download on iTunes or Google Play. As always, our content focuses on basic skills for reading, vocabulary and math to help your child learn and grow ... all while having fun! We have also included FREE printable posters and coloring pages for those special young people in your life! Please do not forget to follow us on our social media accounts! Visit Amazon.com to purchase either of our movies. Currently we have two films available --- "Learning is Fun!" (60+ minutes) and "Learning Together" (30+ minutes). Both movies are available to stream/download or rent directly via your computer, smart TV, tablet or phone. There is even a version you catch watch for FREE ( by viewing ads during the movies)! We also have both movies preloaded on "Chakra" (our adorable green monkey which is actually an 8GB USB flash drive). "Chakra" is available for purchase for for the low price of $6.99. Simply plug in the USB flash drive and select which movie you would like to play. We have also included two FREE printable mini posters, coloring pages of our adorable characters ... and FREE shipping (domestic USA only). International customer please email us for a shipping estimate.